Don’t let old equipment get in the way of your new, innovative projects. 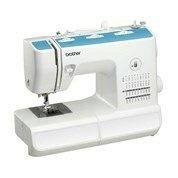 Search through our wide range of sewing equipment and upgrade to the latest gear. Our easy to use machines and equipment are perfect for beginners or experts. Scroll through our wide range of machines from electric, computerised to mechanical and overlockers. 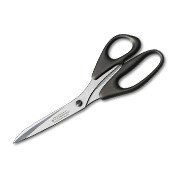 Our products are high-quality and get your project done smooth and simple. On top of stocking machines, our range of products also consist of machine parts to help repair any worn-down parts. Get the latest in gear and equipment with our accessories. Our range of stencil cutters, light pads & boxes will have you taking your designs to the next level. Take your patterns and designs on the go with you with one of our sewing bags & trolleys. Organising craft weekends away will never be easier. 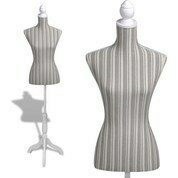 We also stock high-quality, sturdy dressmaker mannequins to enable creators to work on their projects easier. Shop our affordable range online and don’t stress about going shop to shop looking for the right gear. With the help of MyDeal, shopping online has been made easier. Within a few clicks of the mouse, our products can be delivered to your door in no time – stress free. Treat yourself to new equipment today and enjoy the benefits working on your new designs.